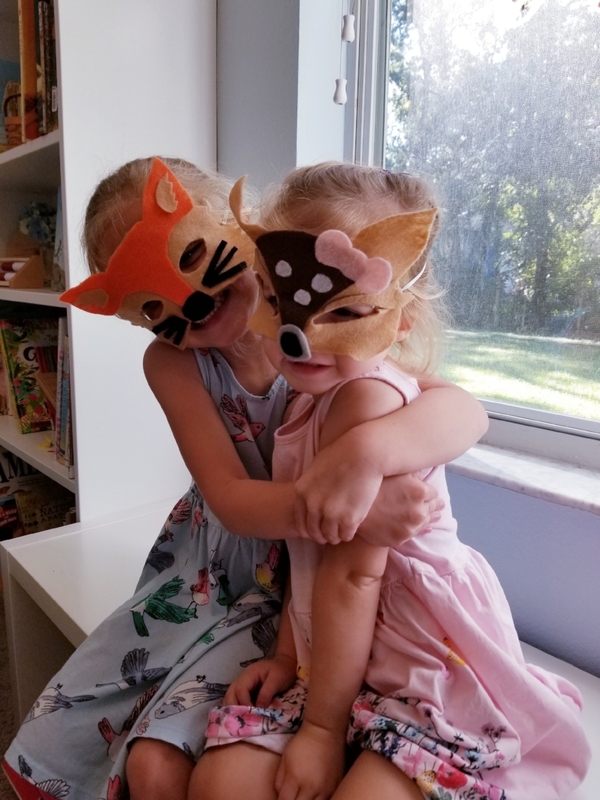 As I write this post we just finished up with Letter V and are on the home stretch to finish up our first year with The Peaceful Preschool curriculum. I knew when we started this curriculum that I would be repeating it again, and my kids and I are already getting excited to start again with Letter A! At the beginning of last year when I was considering whether or not I could homeschool my children, a good friend of mine suggested The Peaceful Preschool curriculum. I decided to purchase it, not sure if we would use it or to what degree. The introductory pages to this curriculum, which provide a family vision sheet and suggestions for daily rhythms, were so inspiring to me. I felt excited and had so much peace and comfort from having everything clearly defined and laid out for me. After purchasing the curriculum I then began reading several Charlotte Mason and Montessori inspired books, websites, and blogs. 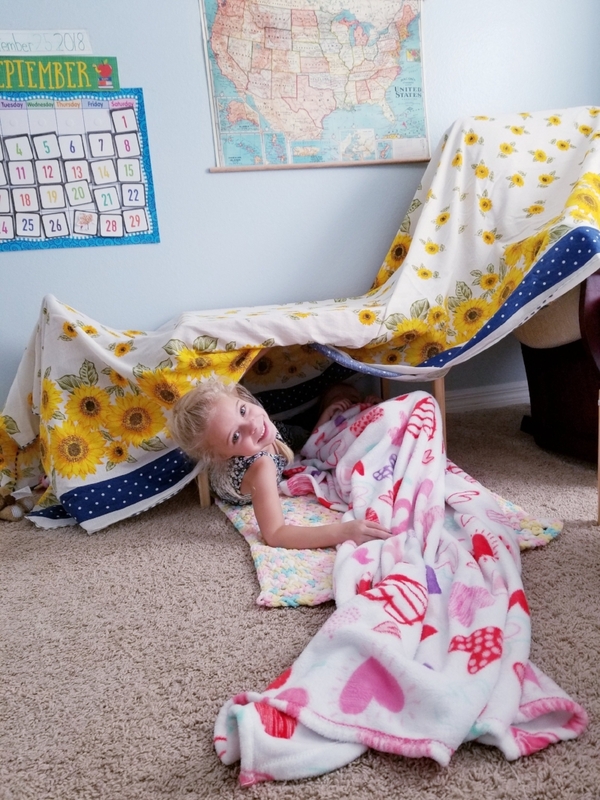 After having a clearer grasp on our family's goals for homeschooling I felt even more certain that The Peaceful Preschool was the best guide for us in the early years, which Charlotte Mason describes as "a quiet growing time." The Peaceful Preschool lessons are engaging, gentle, and fit fluidly into our regular daily rhythm (which I recently blogged about here). The preparation is minimal; most supplies can be found around your home or you can easily find a suitable alternative. You only need to find 2-3 books at your library for each week's lessons, but if your library isn't great, you will not regret purchasing any of the books on the booklist! The curriculum also will not break your budget: I had to spend money up-front to gather basic supplies (I really did not have much before starting preschool at home), but on a week-by-week basis there is very little to no requirement for spending money on additional materials, or even burdening you with extra cost of printer ink. What a blessing! For this past year, I structured our weeks so that we could spend two weeks on each Letter Unit, enjoying two days from The Peaceful Preschool each week. The other days of the week I would add some based on my children's interests (for example, B is for Birds or C is for Camping). My memories of our time spent with The Peaceful Preschool are rooted in reading and re-reading the books that come from the weekly booklist. The books are, in my mind, the heart of the curriculum. The stories are rich, most have stood the test of time, and are what Charlotte Mason would describe as twaddle-free. My kids have latched on to so many of these stories in lasting ways. Okay, so the books are wonderful, the prep is manageable, the activities are simple and engaging, but really the core reason why I plan to do this curriculum all over again is that it fosters connection with my children. The activities are not simply tasks to check off on some academic-attainment list; they are invitations to take a break from the adult world, be present, connect with your children, and come alongside them in a slow and purposeful way. When we engage in these preschool activities, my children receive the message that they are valued and who they are matters. Plus, it's fun!! What could be more fun than gathering every hat in your house and stacking them all on your head like the "Caps For Sale" peddler? Or, playing Follow the Leader, acting out animals from stories, and building a fort? Preschool is the best! I do also add on a few things to the curriculum over the two-week-per-letter period, like 3-Part Cards for our letter learning, other Montessori-based resources, or just fun ideas I find on Pinterest or Instagram. I also consider our weekly Bible lessons and daily outdoor time as essential elements to our Preschool at Home. For each Letter Unit, I chose to add on a Bible lesson using The Jesus Storybook Bible -- you can view these lessons on my blog here. These are based on Letter Unit themes and sometimes nicely pair with the memory verses from The Peaceful Preschool. 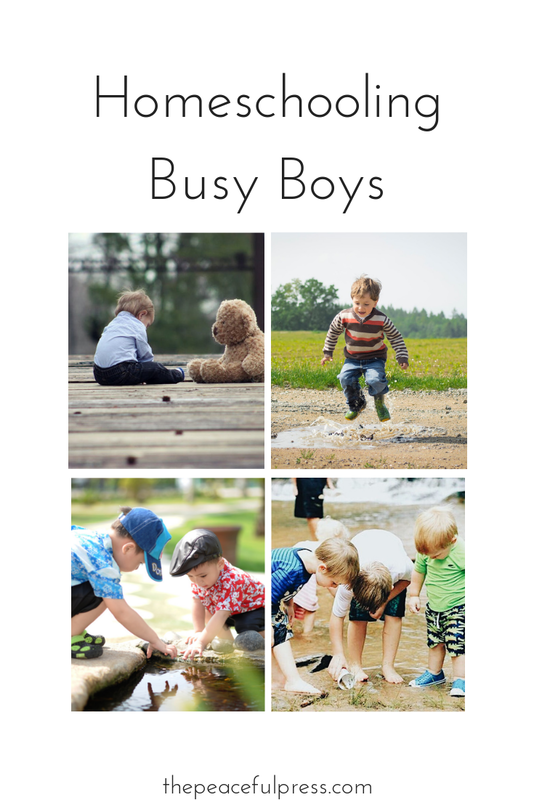 For our daily outdoor time we have lots of unstructured outdoor play in our yard, and we also walk and explore each day. My family lives on a camp property in Indiana where my husband works -- it is situated on 2,500 acres of woods with lots of trails and a lake. We feel incredibly grateful to give our children a childhood like this where they can explore the woods so easily each day and already know so many trees, birds, and plants with not much effort on our part. With that in mind, it always brings me joy to see how many activities in The Peaceful Preschool coincide with our desire to be outdoors. 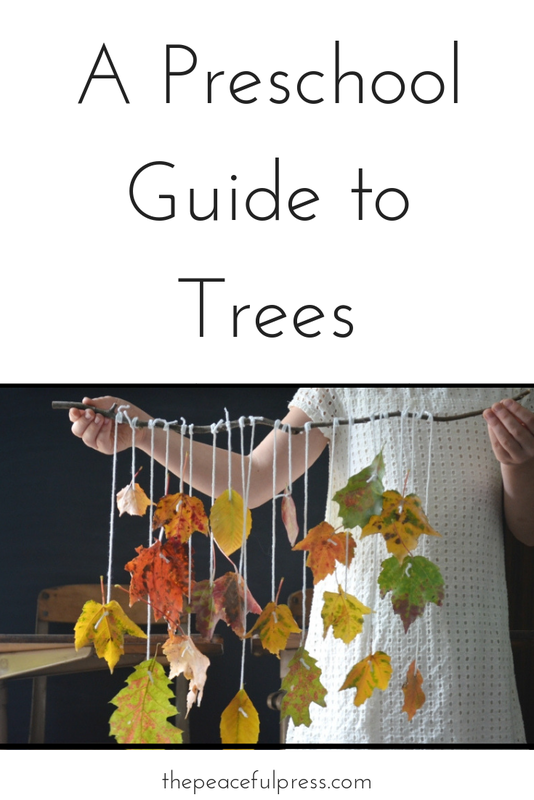 Many activities in the weekly plan are intended to be done outdoors, and even some of the counting skills and fine motor skills can be completed using natural materials. Build a fairy garden, collect wildflowers and make an arrangement, gather leaves and make leaf rubbings, etc. Again, I am so grateful to have a curriculum that fosters connection with my children, and am excited to repeat it again next year! For the first 3 years of my oldest child's life, I would have never considered homeschooling. This last year has been such a confidence-builder for me in all the right ways, giving me the encouragement and inspiration to view home education as "an atmosphere, a discipline, a life" (in the words of Charlotte Mason) and not just public-school-done-at-home. Lastly, I am grateful for the community of homeschooling moms I have as support through The Peaceful Press Facebook group and the Instagram community as well. It is a true gift to know I am not alone. You can check out the full booklist for The Peaceful Preschool here. 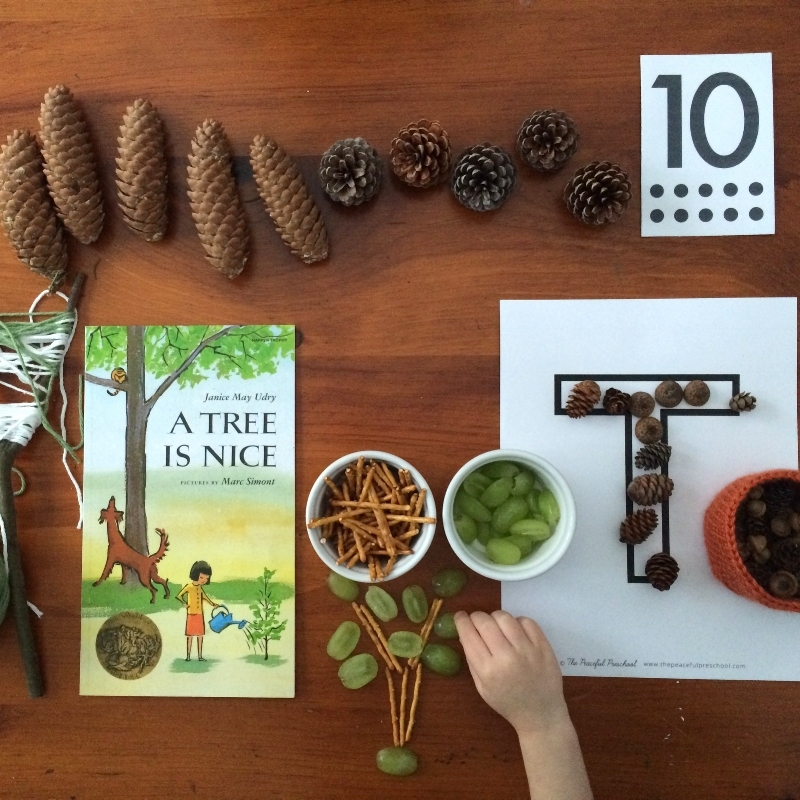 Click here for a helpful post on math with young children.